Call of Duty: Online, Activision's answer to bypassing the Chinese console ban started early registration in July and play testing in late December. As of now, it's in Beta. In partnership with Chinese internet gaming giant Tencent, Activision's COD:OL is basically just a free to play Modern Warfare on PC with a Chinese client and UI. 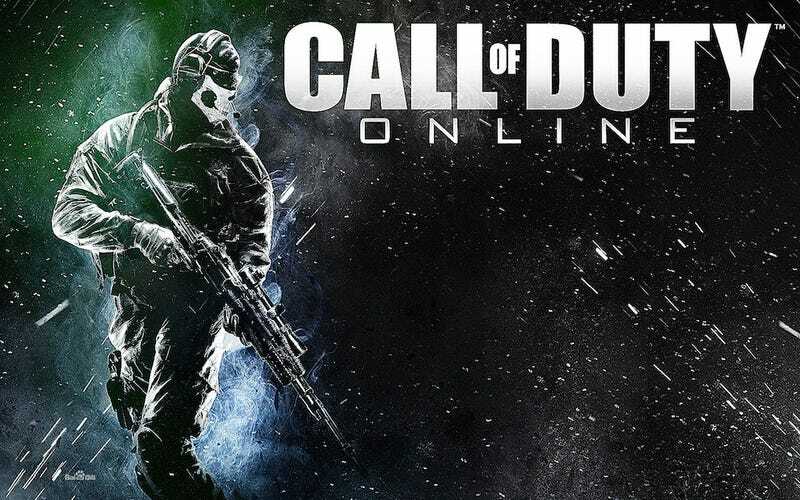 UPDATE: This story originally stated that the Chinese Call of Duty went into "beta." Activision actually considers the game to be in an alpha-testing phase. The difference is that the game is not being monetized by it (users can't pay for stuff in the game). The game is not available for just anyone in the public to play yet, according to the company. Activision wouldn't consider the game "launched" as we originally said in the headline. So, yes, people are play-testing it, but the full, real, now-you-can-play-it-and-pay-money-in-it status hasn't kicked in yet. We'll let you know when the game reaches that stage and when it's officially out in China. Apologies for any confusion. "Tencent's offering of COD:OL may cannibalize Tencent's own lineup, as Tencent is the nation's largest provider of first person shooters," Yin told Kotaku. "In the long run COD:OL might affect how FPS games are made in China."